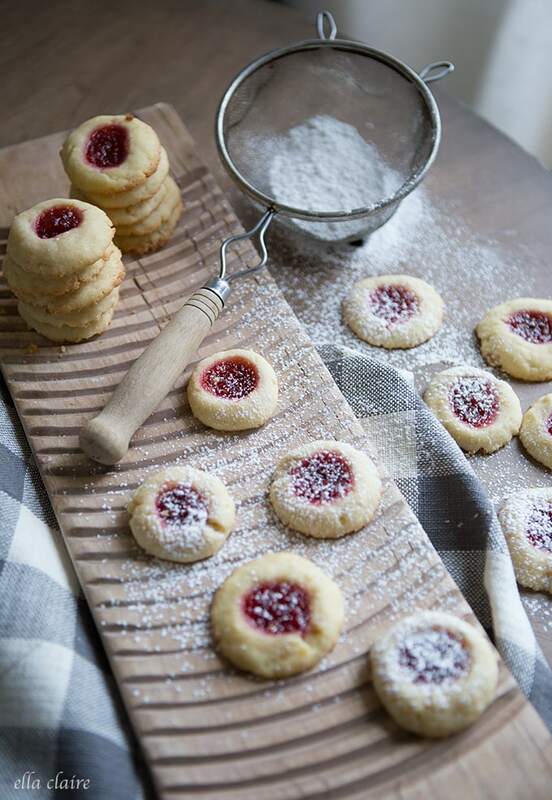 Tis the season for baking Christmas cookies- and for cookie exchanges! I love baking with my Ella. We have matching aprons and she is such a good little helper and taste-tester. 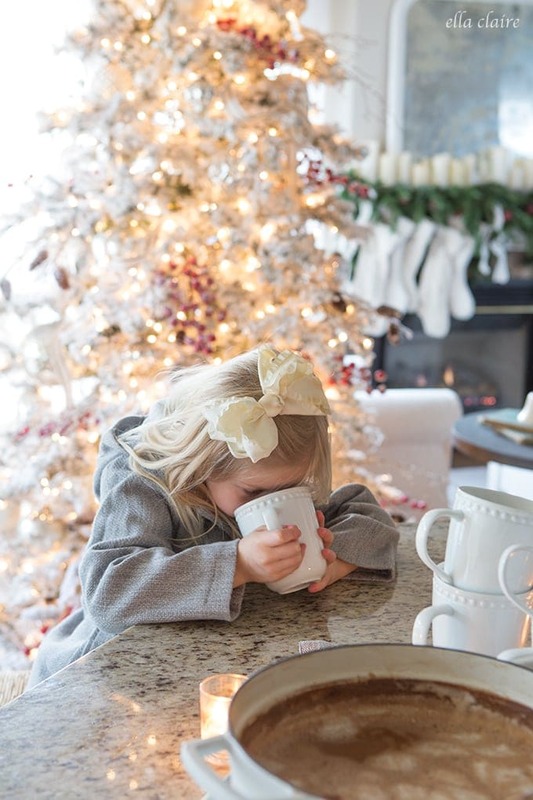 The holidays are particularly fun for us when we get to make all of our favorites. 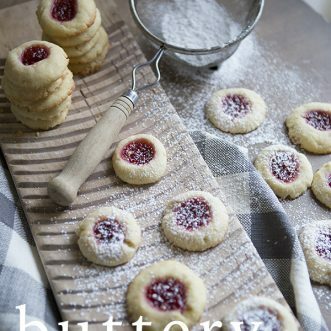 Today we decided to make these yummy buttery thumbprint jam cookies and if you are looking for something that looks fancy, but is really super easy, I would recommend making these pretty cookies. 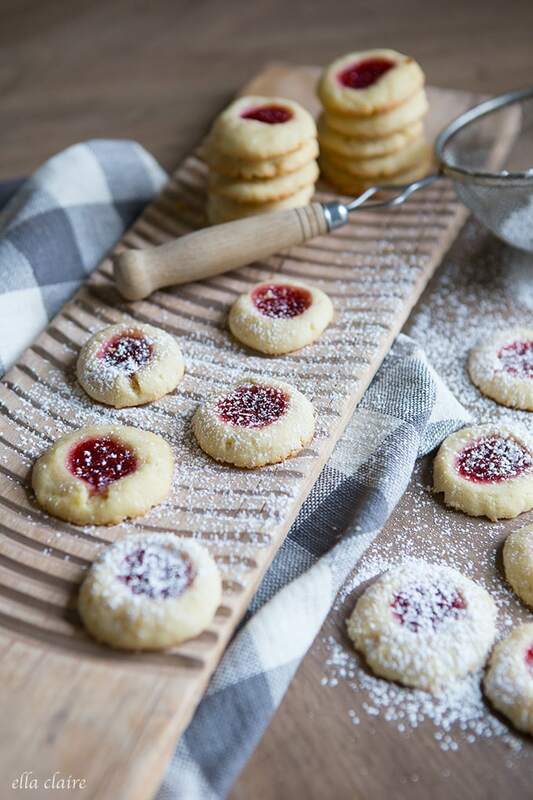 As part of the Farmhouse Holiday Series, we also have a fun little virtual cookie exchange today and you will find the links to the other Christmas favorites at the bottom of this post. 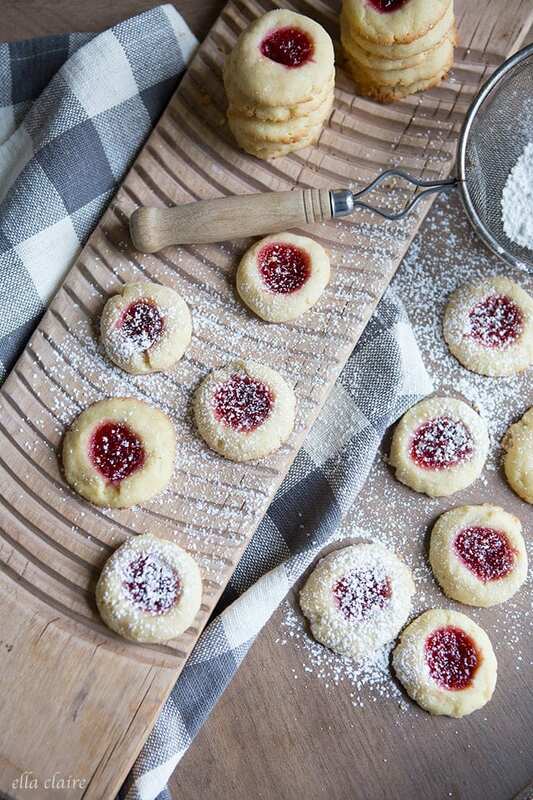 This recipe calls for preserves, and you can get as fancy or creative as you want with them. I used the homemade raspberry jam that I canned over the summer (recipe here), but there are really so many possibilities. I sprinkled them with powdered sugar just to make them a little more festive, but you could omit this if you would like. I love the red and white together for Christmas. 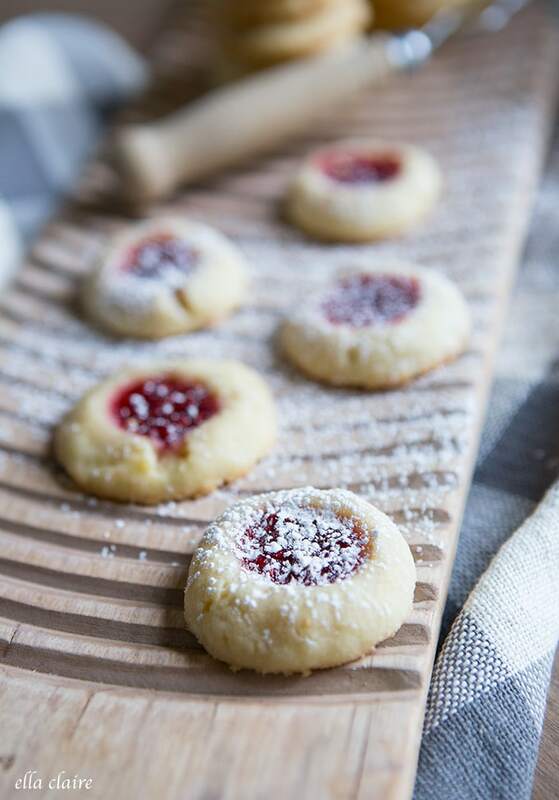 I didn’t get a picture of it, but these thumbprint cookies look really pretty in a glass jar with a ribbon wrapped around the neck. 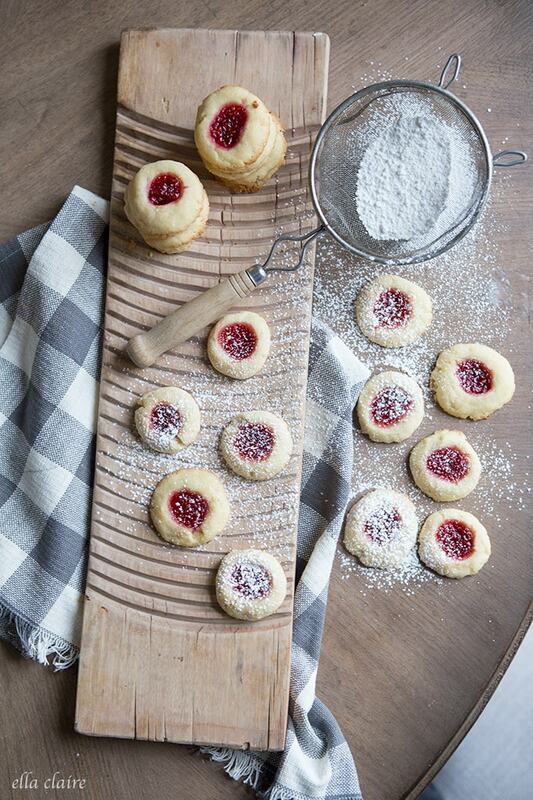 I love the old fashioned flaky buttery cookie mixed with the fresh taste of the preserves. I think your family will love them too! Preheat oven to 375 degrees. In a mixing bowl, cream together butter and sugar. Add yolks and vanilla and mix until well blended. Add flour 1/2 cup at a time until soft dough forms. With your hands, roll into 1 inch balls and place 2 inches apart on a cookie sheet. Using your thumb or finger, make an indentation on each cookie ball. Fill each hole with 1/2 teaspoon of desired preserves. Cook 8-10 minutes, until the bottom of cookies are golden brown. Let cool on a wire rack. Dust with powdered sugar, if desired. 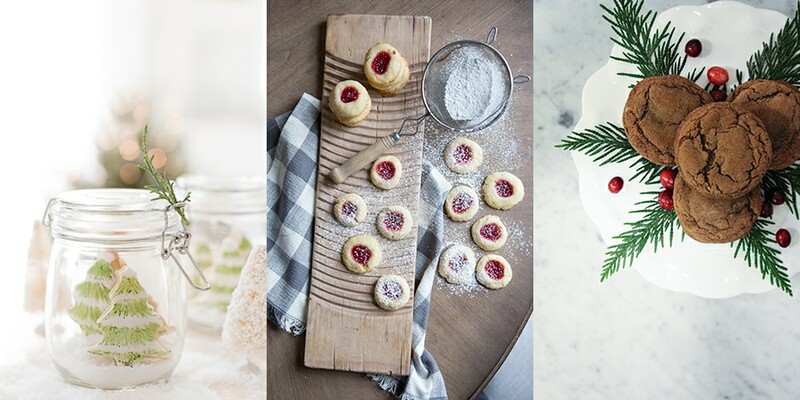 Here are some more holiday cookie favorites from my friends in the Farmhouse Holiday Series. Try melting White chocolate and drizzling that over instead. It’s irresistible! I make a similar bar cookie, with raspberry jam and white chocolate. Yummy!